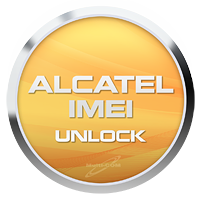 Alcatel IMEI Unlock it's a special service that will helps you to unlock (simlock) Alcatel phone withtout having any hardware, cables or knowledge at your home. Phone is unlocked by a special service code fast and easy, you need only IMEI number, Provider ID (both can be found on back of your phone) and model name. AMOI Orange Berlin IMEI Unlock (simlock) it's a special service that will helps you to unlock (simlock) AMOI Orange Berlin phone withtout having any hardware, cables or knowledge at your home. Phone is unlocked by a special service code fast and easy, you need only IMEI (can be found on back of your phone). AMOI Orange New York IMEI Unlock (simlock) it's a special service that will helps you to unlock (simlock) AMOI Orange New York phone withtout having any hardware, cables or knowledge at your home. Phone is unlocked by a special service code fast and easy, you need only IMEI (can be found on back of your phone). Avvio IMEI Unlock it's a special service that will helps you to unlock (simlock) Avvio phone withtout having any hardware, cables or knowledge at your home. Phone is unlocked by a special service code fast and easy, you need only IMEI (can be found on back of your phone). 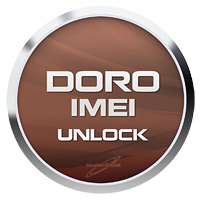 Doro IMEI Unlock it's a special service that will helps you to unlock (simlock) Doro phone withtout having any hardware, cables or knowledge at your home. Phone is unlocked by a special service code fast and easy, you need only IMEI number (can be found on back of your phone). HTC IMEI Unlock it's a special service that will helps you to unlock (simlock) HTC phone withtout having any hardware, cables or knowledge at your home. Phone is unlocked by a special service code fast and easy, you need only IMEI number (can be found on back of your phone). 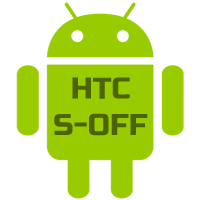 HTC S-OFF/SIMLOCK Service is service that changing flag "Security" form S-ON to S-OFF. This service will permanently ROOT your HTC and allow you to flash generic original debranded roms or custom roms, and use of third party applications that are available in the public domain. The service is targeted to all who want debrand or repair their htc but hboot version wont allow it. If you have S-OFF you can also change the CID (Carrier ID) and MID (Model ID) directly from the fastboot mode. As part of this service you can also select optionally Unlock Network (SIMLOCK) service. Huawei IMEI Unlock it's a special service that will helps you to unlock (simlock) Huawei phone withtout having any hardware, cables or knowledge at your home. Phone is unlocked by a special service code fast and easy, you need only IMEI number (can be found on back of your phone) and model name. For Huawei G5500, G5510, G6600, G6603, G7050, G7105, G7300, T-Mobile Energy, Virgin WM720 models also required is CID number. 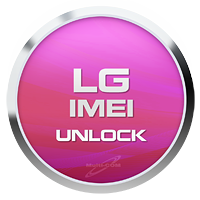 LG IMEI Unlock it's a special service that will helps you to unlock (simlock) LG phone without having any hardware, cables or knowledge at your home. Phone is unlocked by a special service code fast and easy, you need only IMEI number (can be found on back of your phone). Micromax IMEI Unlock it's a special service that will helps you to unlock (simlock) Micromax phone withtout having any hardware, cables or knowledge at your home. Phone is unlocked by a special service code fast and easy, you need only IMEI number (can be found on back of your phone). Motorola IMEI Unlock (simlock) it's a special service that will helps you to unlock (simlock) almost all Motorola phone withtout having any hardware, cables or knowledge at your home. Phone is unlocked by a special service code fast and easy, you need only IMEI (can be found on back of your phone). Motorola IMEI Unlock (U.S and Canada) it's a special service that will helps you to unlock (simlock) Motorola phone withtout having any hardware, cables or knowledge at your home. Phone is unlocked by a special service code fast and easy, you need only IMEI number (can be found on back of your phone) and model name. Support only USA and Canada operators: T-mobile, AT&T, TELUS,WIND, Rogers, Fido. Pantech IMEI Unlock it's a special service that will helps you to unlock (simlock) Pantech phone withtout having any hardware, cables or knowledge at your home. Phone is unlocked by a special service code fast and easy, you need only IMEI number (an be found on back of your phone) and model name. Samsung IMEI Unlock (simlock) it's a special service that will helps you to unlock (simlock) of each Samsung phone withtout having any hardware, cables or knowledge at your home. Phone is unlocked by a special service code fast and easy, you need only IMEI (can be found on back of your phone).